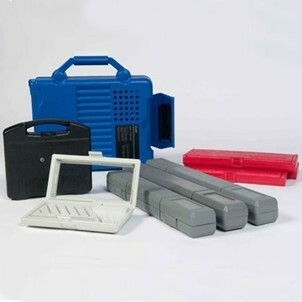 Western Case is well-known for its broad product line of stock, semi-custom and custom blow molded carrying cases. We offer over 50 stock case sizes available for immediate delivery. Stock cases are typically used with interior die-cut foam inserts that provide a turnkey case, ready for you to install your products. 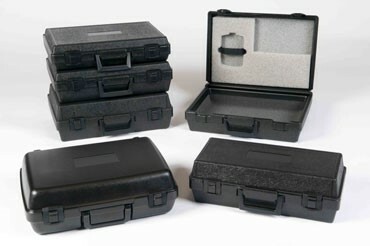 Semi-custom cases are available in the same exterior dimensions as stock cases, but include more options for customization. Some of these options include; your choice of case color, molded raised logo lettering, molded interiors for the lid and base in lieu of foam, just to name a few. With blow molded cases, the interior and exterior of the case are a single, hollow piece of material, so in most cases, you have no additional assembly to worry about. 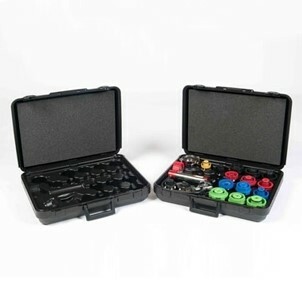 Custom cases are ideal when you have higher volumes, or you require a case size or style that isn’t available in our stock or semi-custom case lineup. So if you want your case-packaging to serve as an extension of your brand – and make your product stand out, call Western Case, Inc. for a free, no-obligation quote. We offer complete design, tooling and molding services to give you the exact case you need.